Scenes from Daily Life: Genre Prints from the Housebook Master to Rembrandt van Rijn, National Gallery of Art, Washington, 1996. 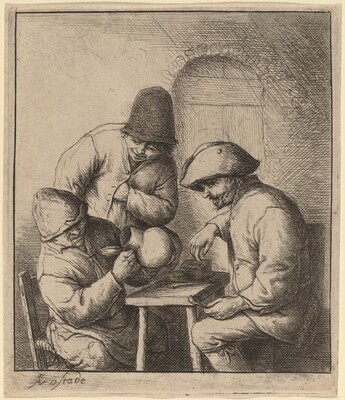 Scenes of Daily Life: Genre Prints from the Housebook Master to Rembrandt van Rijn, National Gallery of Art, Washington, 1996. Godefroy, Louis. The Complete Etchings of Adriaen van Ostade. San Francisco, 1990.